Send free online invitations or choose a plan that is right for you or your business. 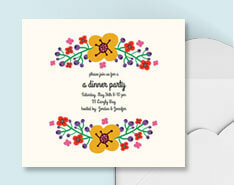 Sendo Online Invitations can be used for any possible event, business or personal. We have a pricing structure that is affordable, flexible, straight-forward and caters to all budgets. Pay per single event or contact us to purchase a yearly membership for unlimited events. * Pricing is per event, no membership or subscription needed. We send your invite out for you. Send your invite out yourself. Receive an event URL to email or text to recipients. Or, post on social media.